I was trailer hopping on youtube today when I came across this tasty slice. It’s comforting that even in today’s world of CG gimmickry Hollywood can still produce a genuine B-movie. Yes, that WAS acting legend Christopher Lloyd. I have a soft spot in my heart for this kind of cinematic trash. If you ever want to have a good time check out 8 Legged Freaks. It’s about spiders, big ones. I probably won’t be watching Piranha 3D, and I certainly won’t be watching it in 3D. Still, this trailer is 2 minutes and 13 seconds of American pride. Last weekend (or s0, I have no concept of time anymore) I had my first of hopefully a long summer of outdoor concert excursions. 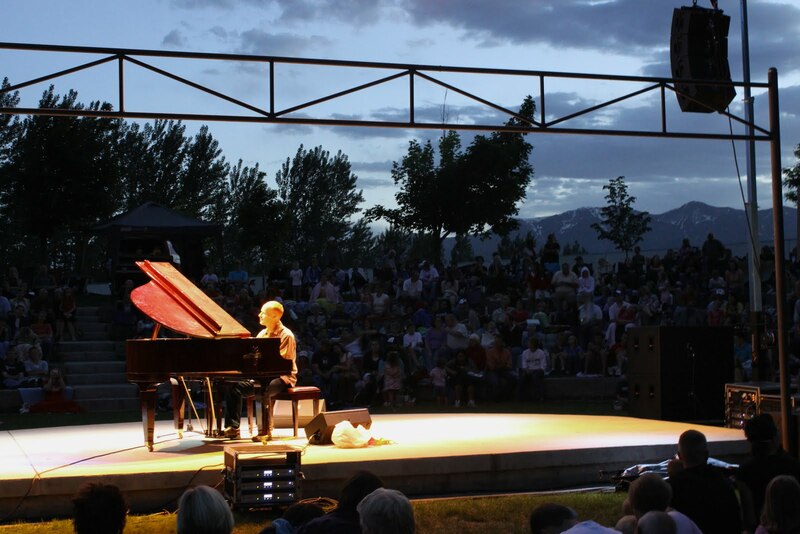 Utah-based piano sensation (I use that term lightly) Jon Schmidt played a free outdoor gig at Nibley, followed by fireworks. 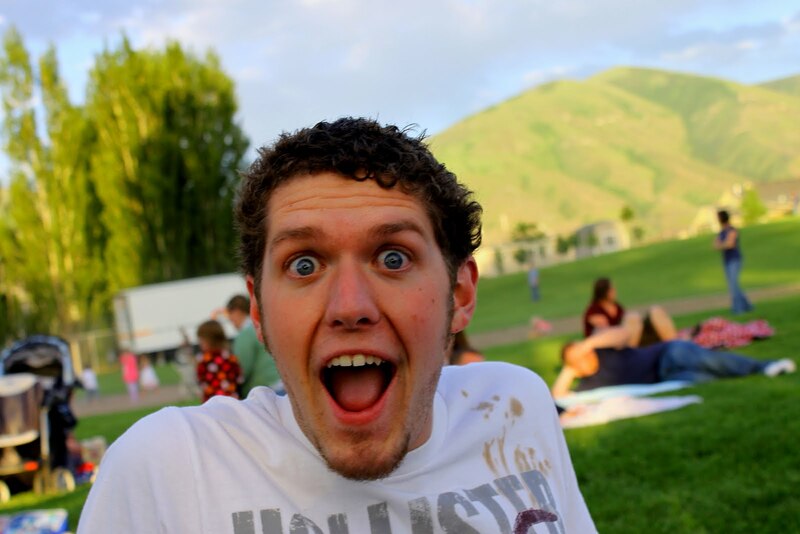 Last year I was assigned Nibley in my Reporting Public Affairs class and spent a semester attending their bi-weekly city council meetings as well as any other happening event in the community. 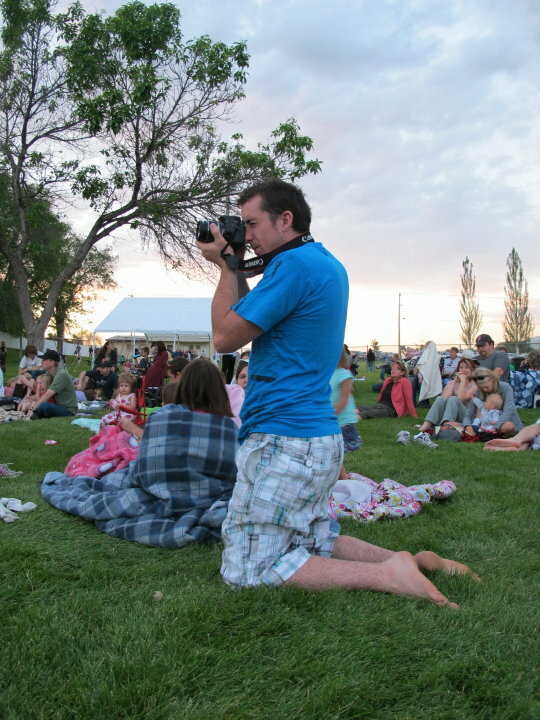 Nibley is great, and with Logan, North Logan, and Providence becoming burgeoning metropolises it’s the place to be for close, but far relaxation in Cache Valley. 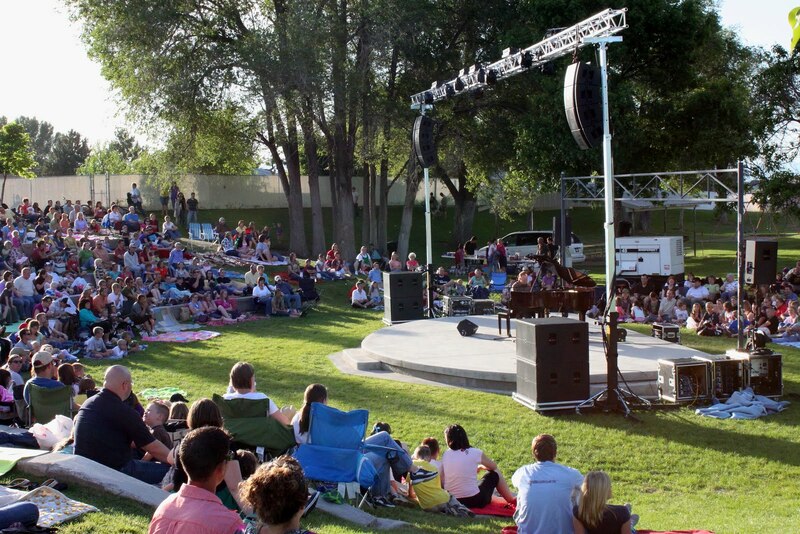 And, for a relatively small town, they put on some pretty well-organized events. I’m not particularly fond of Jon Schmidt’s music, and after seeing his act three times with almost no alteration whatsoever he leaves much to be desired. 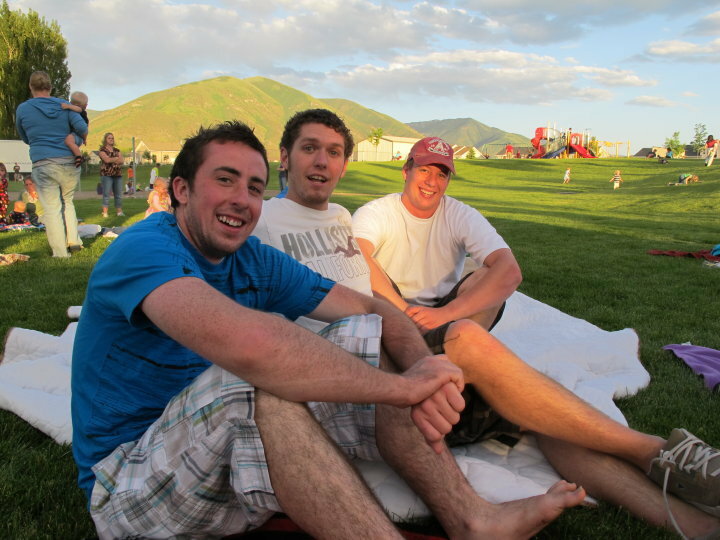 However, a free outdoor show in Nibley with fireworks? I watch a Katy Perry concert under those circumstances. Needless to say, the evening was highly enjoyable. 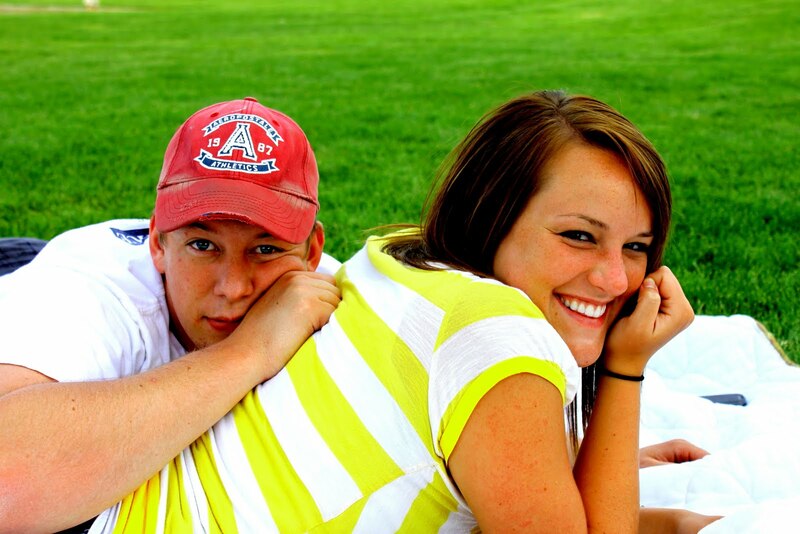 Trevor, Hayley, Skyler, Rachel and Allie kicked it on a blanket while I scampered around taking pictures for CVDaily. Ben at Work: Rachel took this shot of me taking a shot of Jon Schmidt. As it turns out Allie was taking a picture of Rachel at the same time. The girls, significantly more impressive. Skyler in the heat of the moment; or, maybe just in heat. The many moods of Trevor and Hayley. Now that this is behind me, I’m feeling a familiar itch for the Twilight Concerts that start next week in SLC. Bring it on baby. Shmidty wrapping up the night with his “Love Song/Viva La Vida” staple. 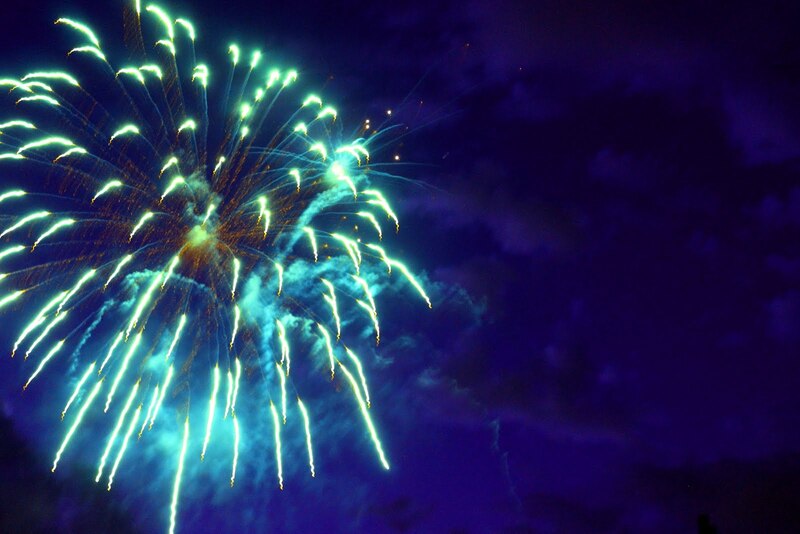 Nibley fireworks. I’m especially glad I went to these since I might miss out on fireworks for the 4th of July thanks to the brilliance of my employer. I don’t have time to right about this myself (so expect a lengthy Wood’s Stock later) but for now Entertainment Weekly’s Mark Harris wrote a great article last week about the decline of quality films in Hollywood these days. 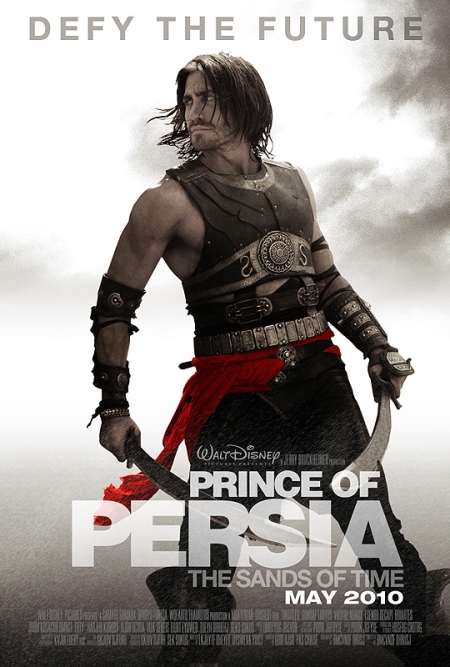 (For the record, I thought Prince of Persia was good clean fun) Check it out. Impossible. That answer can not be given. While I do not discount the possibility of having a “favorite” movie, I am always leery of anyone who answers that questions definitively; especially when their answer is a movie less than 5 years old, stars Robert Pattinson, is a Romantic-Comedy, etc. When people ask me, I usually tell them it’s an impossible question, and then encourage them to narrow it down by Genre. Even this presents a challenge but some genres are easier than others. In the playing field of crap that is Romantic Comedy my favorite is, no contest, Notting Hill (caveat: I hate Julia Roberts but the charm of Hugh Grant, the witty banter, and the natural-feeling chemistry of the group dynamic involved with Grant’s Character’s enterouge make up for her big-mouthed performance). Favorite sports movie. Friday Night Lights. Directed by Peter Berg and starring Billy Bob Thornton and Lucas Black, 2004’s FNL is a breath of fresh air in a category of copy-cat underdog feel-good auto-screenplays (Did you see Glory Road? Is that the one with Samuel L. Jackson? No, that’s Coach Carter. I don’t know, I might have seen it). What’s more, it’s not actually about sports. 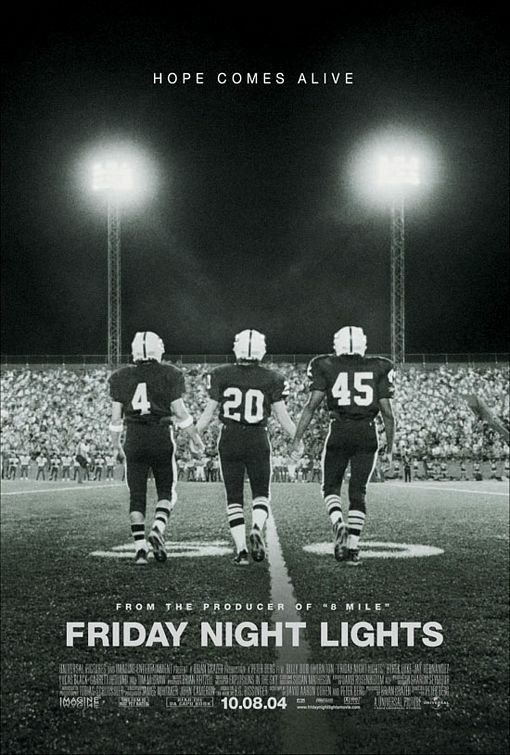 FNL runs in a similar vein as Disney’s Remember The Titans (Racism, not football), except without the cushy life-is-beautiful aftertaste and nostalgic soundtrack (James Taylor and Hayden Panettierre. What are two things I’d like to have more of in my day to day life? Throw in apple pie and make it a value meal). FNL is gritty, dark, and hard to swallow. Berg shoots the action with a handheld third person presence, giving you the story as though you were just wandering through Odessa Texas on game night. The characters are individual, memorable and relatable, showing both the superficial heroism of High School football gods and the vulnerability of scared 17 years olds. The foreground is the lead-up to the 1988 Texas State High School Football Championships, but in the subtext we see these tortured youth struggling with loyalty, abuse, racism, acceptance, self-worth and the transitions that come with age as they are reminded over and over again by everyone around them that the most important thing they will ever do is win. Berg uses background radio transmissions to hint at the lopsided priorities in 1988’s Texas, where the football coach makes more money than the school principal, and the public opinion that maybe if the athlete’s weren’t doing “so much darned learning” in school then they could perform better on the field. In the big game we’re rooting for the Panthers. And yet Berg takes the time to show that the only reason we’re rooting for them, is because we’ve been watching them. During halftime of the championship game a player screams “They bleed like we do, they sweat like we do. They did two-a-days, we did two-a-days.” And then camera bounces back and forth as both teams kneel, heads bowed hand-in-hand, and recite the lord’s prayer. Still, the most telling moment of FNL is the wrap-up. As the Permian seniors disperse at the end of the season. They chat briefly about missing “the heat” and “the lights” and say their goodbyes while the soft melancholy riff of a guitar plays in the background and Coach Gary Gaines removes their names from the position board in his office. Black’s quarterback turns and sees a group of children playing ball near the stadium, he clasps his football in his hands, yells for their attention and lets a pass sail through the air. The music crescendos, the ball drifts through the air, and his name falls from the board onto the pile. One of the boys catches the ball, Coach Gaines begins placing new names on the board, and Black turns, smiles, and gets in his car. We place so much pressure, and invest so much of our lives into these feats that seems so fleeting. The season ends and on Monday the players go back to school to learn about algebra, to go to the prom, to graduate and go to college or get a job hauling garbage in the one horse town. In the end, is it trivial? Yes. Is it wrong? Maybe. Did it matter? No, and yet at the same time it can’t be dismissed. Caution: This is a midnight post. Why, you ask, is today’s segment titled “Unchained Melody?” Because Unchained Melody is the king of cliched, cheesy, love-sap garbage. The song, featuring the Righteous Brother’s soothing falsetto (are you…still…miiiiiiiiiiiiiiiiiiiiiiiiiine) is a favorite of Simon Cowell and has appeared in a host of cheesey, sappy movies; 1990’s Ghost being paramount among them. 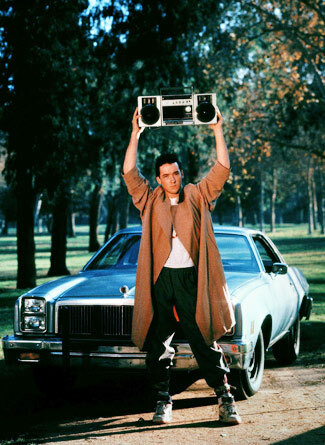 John Cusack raises his boombox and Peter Gabriel fills the air. Mike Myers, accompanied by an upright base, lays out his soul in rhyme and Marlon Brando screams out “Stellllla” with torn shirt in the pouring rain. It’s cheesy, predictable, sappy crap. These images are used as a trigger to signal the audience that “love” is being expressed, or some other like-minded emotion. They are overused, they are unoriginal and yet they are what we, as a society, have construed as the generally accepted forms of romantic expression. I’ve never done any of them. I’ve never stood outside of a window and screamed in the rain. I’ve never sung/played a song on someone’s front lawn. I’ve never brought a public place to a standstill with my heartfelt expression of desire. I’ve never run after a departing train. I’ve never raced to stop someone from getting on a plane. Is it all a lie? Or, am I really missing out on all of it? I have no reticence in admitting that I’ve never been “in love.” I’m 23. In my opinion there’s no such thing as love until you’re at least 20; combine that with my parlayed time in Brazil and you have just 2 years that I’ve even been intellectually eligible. My math, you can take it or leave it. Still, not every love story is laced with the pomp and circumstance. You watch Annie Hall and you can relate to the bitter, nay-saying, anti-anti-semite. You watch (500) Days and feel a familiar sting as Tom Hansen gets his head kicked in by love. You watch High Fidelity and find yourself creating your own All-Time-Top-5 of horrible breakups (mine, sadly, do not involve Catherine Zeta-Jones). Even in those gritty, realistic tellings of romance there is still the sense of this thing called “love” and what it drives people to do. 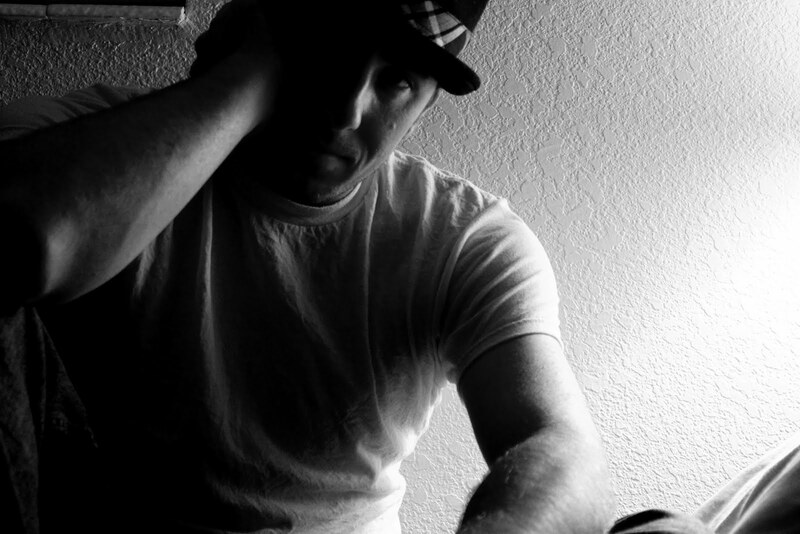 Someday I’ll get my head kicked in by love, and I hope its just as painful as it sounds. 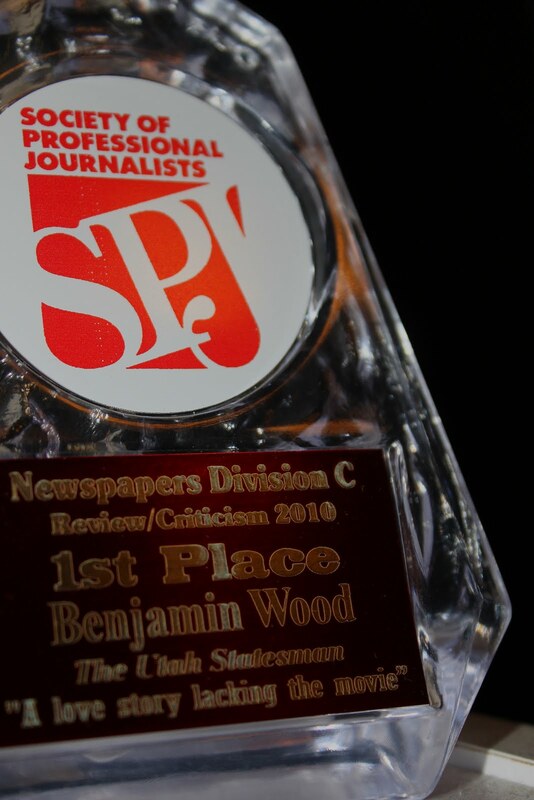 The 2009-2010 Awards season finally came to an end yesterday night with the Society of Professional Journalists (SPJ) Utah Headliners awards. The event was held at the University of Utah Officers Club, which, good luck if you ever try to find it; don’t even bother with google maps. I spent 45 minutes driving in circles looking for a series of roads that do not intersect each other. Thanks google. After the long and tumultuous drive, in the rain no less, I arrived (alone, a growing trend this summer). I actually got there early and ended up spending about 20 minutes at a table by myself politely declining about 20 glasses of wine offered me by the ever-attentive event staff. On the table directly behind me was the staff from BYU’s The Daily Universe (dumbest name for a college paper) and no joke, every single one of them was overweight. I actually learned that they were the Universe by a member of the SPJ Board who chatted with me briefly and found out that I was from the Statesman. I was wearing a black open collar shirt with a vest and he said to me “That’s the Daily Universe behind you, the guy in the mission suit.” We shared a laugh at the expense of the portly mormon seated at my 6 and then the board member went on his way. Finally people sat at my table. At first it was an elderly couple from Tooele County that had absolutely no idea why they were even there, and then the rest of the seats were filled by the staff of Weber State’s Signpost (I’m not a fan of that name either, but it sure beats the crap out of The Daily Universe). 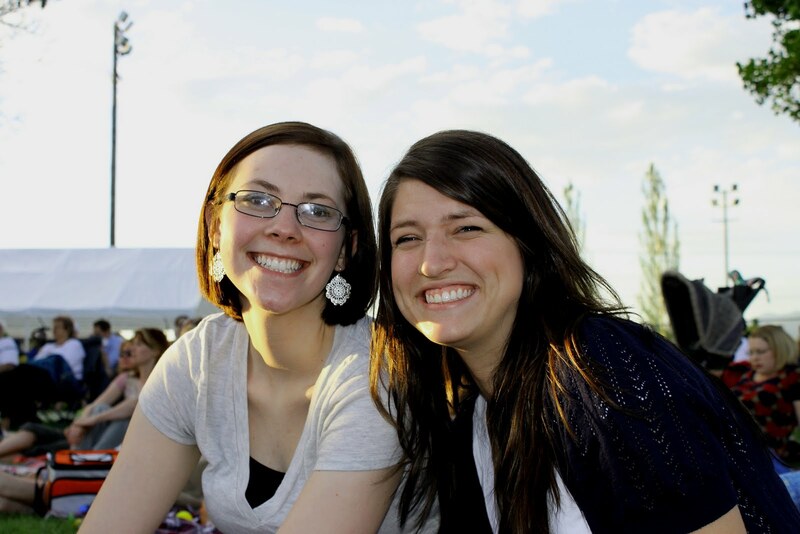 Like all awkward people from WSU they knew my sister Leah, and the bulk of our relatively short conversation focused on that subject. We had a nice meal, some sort of spinach-stuffed chicken breast and some amazing potatoes, and then the awards began. The Statesman did extremely well. All in all we received 4 first-place awards. A 2nd place for overall best paper in our division, and a number of individual 2nds, 3rds and honorable mentions. More importantly, we creamed The Signpost. I was awarded 1st place in Review/Criticism for my review of (500) Days of Summerd (they typo-ed the title on my trophy). In the presentation of the award the judges said that I balanced critique and synopsis without giving too much away. I also got a 3rd place in Education Reporting for my article on USU students being the best in the state at repaying loans, and a 2nd place in Criminal Justice reporting for my article about Anthony DiLoreto, the aggie basketball player who robbed a bank in Wisconsin before donning the blue and white. Sadly, these article are no longer available online due to our switching to a new website. In perfect fashion Catherine was awarded 1st place in Education reporting (where I got third) without even submitting a single article. It just goes to show that time and time again she seems to be right on my heels with seemingly no effort whatsoever. The night was actually cut short by a power outage, which no one seemed to mind. I was sad that Pete’s ROTC photo page didn’t get to be presented (1st place Page Design/Feature Page), mostly because I was looking forward to the Oohs and Aahs from the room. It really was one darn impressive piece of work. All in all: Statesman=25 awards. Me=3 awards. 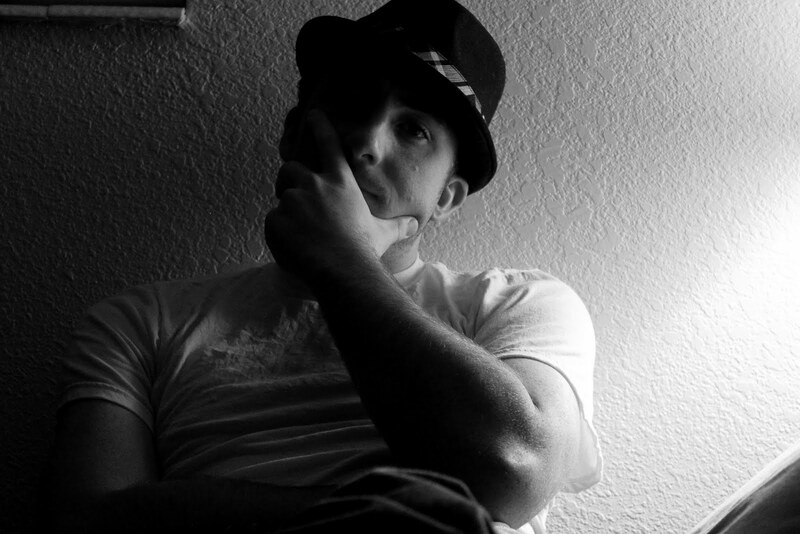 I’ve been having trouble sleeping lately; so tonight, I decided to throw on my fedora and have a little fun with my new camera, my bedside lamp and my self-timer function. Here’s a whole lotta me. I wish I had more Irish in me. I think that last picture captures that. Also, and I know this is self-serving, but how cool does the texture on the wall behind me look? I’ve learned a little bit about my photographic tastes since purchasing my new toy. 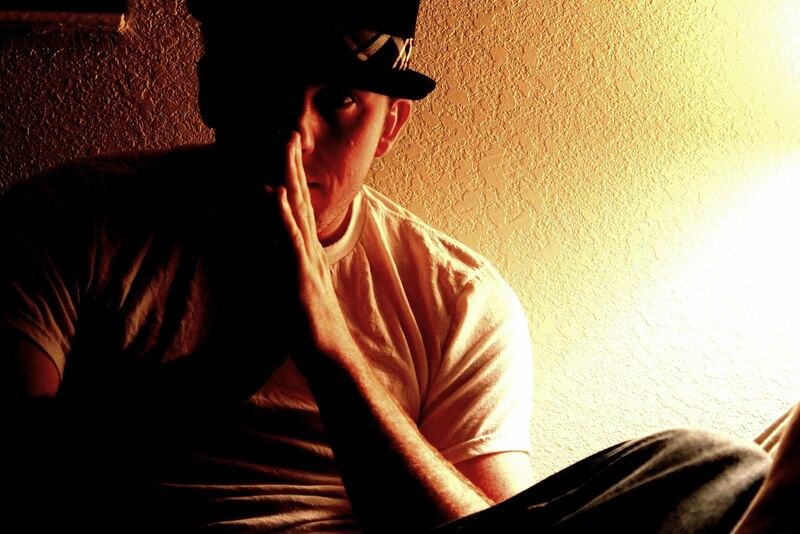 I like darker pictures with high contrast. It seems like every time I start polishing my pictures on the computer that’s the first thing I do; drop the brightness, up the contrast.